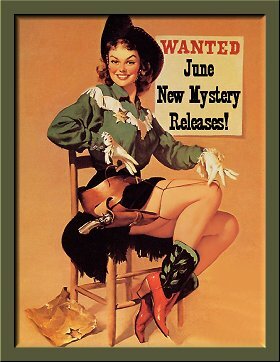 June 2012 New Mystery Releases! Mercy, there's a boatload of new mysteries coming out in June that I can't wait to get my hands on! It's as if the publishers know that this is the time of year where I'm to be found sitting in the shady end of the pool, book in hand. One of these days, I'm going to show you the sheet of notebook paper on which I compile the list of books I intend to feature in a new release post. It's a miracle that I can decipher all the cross-outs, color codes, scribble-throughs, arrows, asterix, and check marks! It turns out that June proved to be a particularly difficult month to narrow down to a dozen titles. Here are the ones that made the final cut. The books are grouped by release dates, and I've included the information you'll need to find them at all your favorite book spots. Hopefully I've chosen a title or two that you just can't do without. (I don't want to be all alone with my endless wish list....) Happy summer reading! 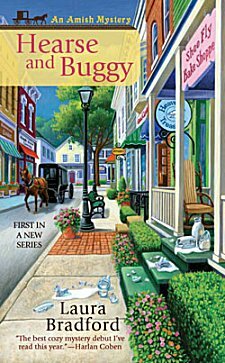 Synopsis: "Darlene Coddlefield, the winner of a national sewing competition, has come to Willow Vanderling’s embroidery shop, In Stitches, to be presented with a top-of-the-line Chandler Champion sewing and embroidery machine as her prize. But Darlene’s triumph is short-lived after she’s found dead under her sewing table, apparently crushed by the heavy machine. It soon becomes clear that this was no freak accident. Who had it in for Darlene Coddlefield? The long string of suspects includes Darlene’s fire chief husband. So Willow and her best friend, Haylee, become volunteer firefighters to uncover the truth. But when a second sewing machine sparks trouble, the friends realize they may have jumped from the frying pan into the fire…." Synopsis: "In the spring of 1918, the Spanish flu epidemic spreads, killing millions of soldiers and civilians across the globe. Overwhelmed by the constant flow of wounded soldiers coming from the French front, battlefield nurse Bess Crawford must now contend with hundreds of influenza patients as well. Working her father's connections in the military, Bess begins to piece together what little evidence she can find to unmask the elusive killer and see justice served. But she must be as vigilant as she is tenacious. With a determined killer on her heels, each move Bess makes could be her last." Synopsis: "Claire Weatherly has fled a high-stress lifestyle for a slower pace—in Amish country: Heavenly, Pennsylvania. She only planned a short visit but instead found herself opening an Amish specialty shop, Heavenly Treasures, and settling in. Claire loves her new home, and she’s slowly making friends among the locals, including Esther, a young Amish woman who works in the shop. So when the store’s former owner,the unlikable Walter Snow, is murdered, and the man Esther is sweet on becomes a suspect, Claire can’t help but get involved. As Claire investigates, she uncovers more than she wanted to know about her neighbors. 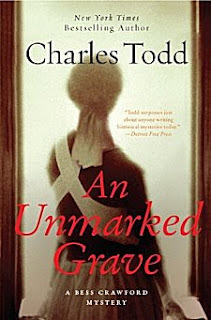 And suddenly, everything she had hoped to find in this peaceful refuge is at risk...."
Synopsis: "A secret grave is unearthed in the desert revealing the bodies of 19 women and the shocking truth that a serial killer has been operating undetected in Jeddah for more than a decade. 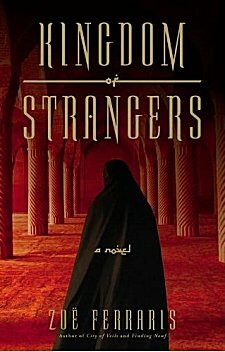 However, lead inspector Ibrahim Zahrani is distracted by a mystery closer to home. His mistress has suddenly disappeared, but he cannot report her missing since adultery is punishable by death. With nowhere to turn, Ibrahim brings the case to Katya, one of the few women in the police department. Drawn into both investigations, she must be increasingly careful to hide a secret of her own. 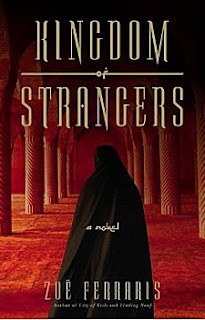 Portraying the lives of women in one of the most closed cultures in the world, award-winning author Zoë Ferraris weaves a tale of psychological suspense around an elusive serial killer and the sinister forces trafficking in human lives in Saudi Arabia." Synopsis: "When a rash of suicides tears through Cambridge University, DI Mark Joesbury recruits DC Lacey Flint to go undercover as a student to investigate. Although each student’s death appears to be a suicide, the psychological histories, social networks, and online activities of the students involved share remarkable similarities, and the London police are not convinced that the victims acted alone. They believe that someone might be preying on lonely and insecure students and either encouraging them to take their own lives or actually luring them to their deaths. As long as Lacey can play the role of a vulnerable young woman, she may be able to stop these deaths, but is it just a role for her? With her fragile past, is she drawing out the killers, or is she herself being drawn into a deadly game where she’s a perfect victim? 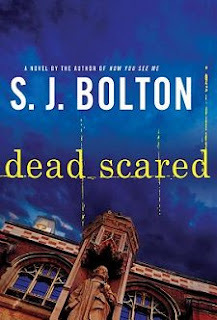 Dark and compelling, S. J. Bolton’s latest thriller—a follow-up to the acclaimed Now You See Me—is another work of brilliant psychological suspense that plumbs the most sinister depths." Synopsis: "PC Harry Trasker is the third policeman in the Bath area to be shot dead in less than twelve weeks. 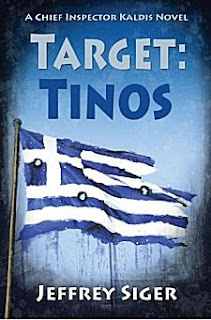 The assassinations are the work of a sniper who seems to be everywhere and nowhere at once, always a step ahead.The younger detectives do their best with what little evidence he leaves, but they're no match for this murderer and his merciless agenda. 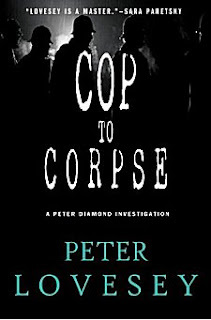 When Chief Superintendent Peter Diamond is assigned to the case, he begins to find curious connections between the dead officers after talking to their widows. But then a chilling encounter wit the killer leaves Diamond in the lurch and the sniper in the wind. Things get even more complicated when the evidence starts to suggest that the killer might be one of Britain's finest--a theory unpopular among Diamond's colleagues. Can Diamond manage to capture an elusive and increasingly dangerous killer while keeping his team from losing faith in him?" 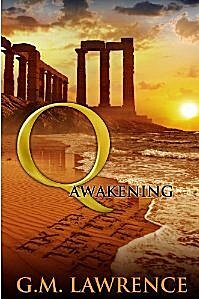 Synopsis: "Q: Awakening is the provocative tale of the lost Christian gospel called Q--for the German word "quelle" (the source)--and the brilliant but damaged scholar Declan Stewart, whose destiny is inextricably intertwined with it. From the stormy coasts of New Zealand to the deserts of the Sinai, from the cobbled streets of Zurich to the desolate mountains of Syria, Declan Stewart must locate the scattered clues to solve a 2,000-year-old puzzle in a race against hostile forces that would turn Q to their own dark ends. 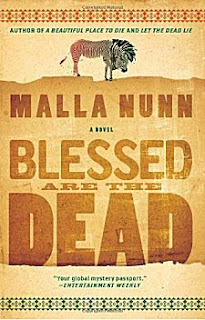 Combining the unrelenting tension of an international thriller with the intellectual breadth of a spiritual hero's journey, Q: Awakening delves deeply into the human heart and the yearning of people from every age to find meaning and purpose in the enduring challenges and great questions of life." Synopsis: "A call from Stella’s little sister brings the news that Stella’s step-nephew, Chip, has been threatened with serious bodily harm if he doesn’t settle his unpaid gambling debts. Stella makes the drive to Chip’s home in Wisconsin, only to walk in on a wee-hours dismemberment. Chip and his Russian girlfriend, Natalya, insist the man was left, already dead, on their porch. 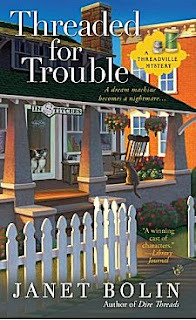 Suspicious but compelled to help family, Stella tracks down other suspects, including the deceased’s business partner, a purveyor of black-market Botox, and a jilted violist. Matters are complicated by the unexpected arrival of BJ Broderson, who has picked the worst possible time to pursue his amorous intentions toward Stella. Meanwhile, thoughts of Sheriff “Goat” Jones make Stella blush and wonder where, and with whom, she will spend her fifty-first birthday." Synopsis: "Rumspringa is the time when Amish teens are allowed to experience life without the rules. It’s an exciting time of personal discovery and growth before committing to the church. But when a young teen disappears without a trace, the carefree fun comes to an abrupt and sinister end, and fear spreads through the community like a contagion. 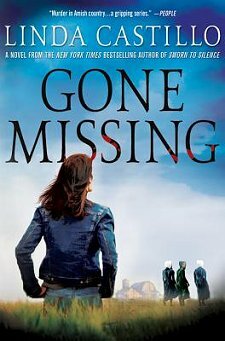 Kate and state agent, John Tomasetti, delve into the lives of the missing teen and discover links to cold cases that may go back years. But will Kate piece together all the parts of this sinister puzzle in time to save the missing teen and the Amish community from a devastating fate? Or will she find herself locked in a fight to the death with a merciless killer?" Synopsis: "When Jimm Juree’s mother sold the family house and invested in a rundown 'holiday camp' at the southern end of Thailand on the Gulf of Siam, the family had little choice but to follow. Jimm Juree, who was well on her way to achieving her goal of becoming the primary crime reporter for the major daily newspaper in Chiang Mai, is less than thrilled to have lost her job as a reporter and to be stuck in the middle of nowhere where little of interest happens. 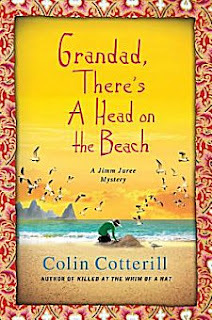 So it is with mixed feelings that she greets the news that a head has washed up on the beach. It’s tragic, of course, but this could be the sort of sensational murder that would get her a byline in a major daily and keep her toehold on her journalism career. 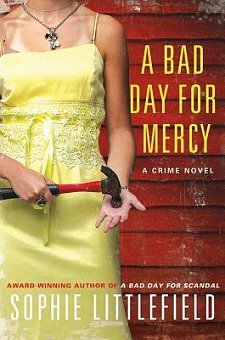 Now all she has to do is find out who was murdered, and why." Synopsis: "The body of a beautiful seventeen-year-old Zulu girl, Amahle, is found covered in wildflowers on a hillside in the Drakensberg Mountains, halfway between her father’s compound and the enormous white-owned farm where she worked. Detective Sergeant Cooper and Detective Constable Samuel Shabalala are sent to the desolate landscape to investigate. They soon discover that Amahle’s life was woven into both the black and white communities in ways they could never have imagined. Cooper and Shabalala must enter the guarded worlds of a traditional Zulu clan and a divided white farming community to gather up the secrets she left behind and bring her murderer to justice. In a country deeply divided by apartheid, where the law is bent as often as it is broken, Emmanuel Cooper fights against all odds to deliver justice and bring together two seemingly disparate and irreconcilable worlds despite the danger that is arising." Wow, what a choice list, eh? Did you add any of these to your wish list? Which ones? Inquiring minds want to know!